You’ve decided on adding a blog to your site. 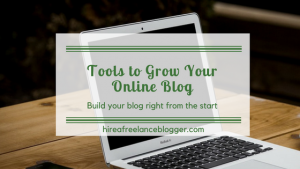 Or you’ve decided to start blogging separately from your business. Either way, you’re now looking into everything you need to start a blog. Something you’ve seen is that other people have images on their blogs. When you’ve looked into blogger for hire packages, you may have even seen that they offer images with their packages. Now you want to know if images really are a big deal. 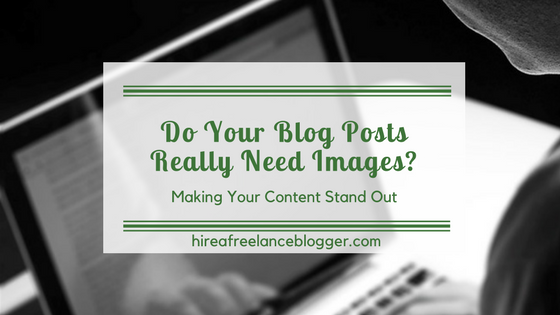 Do you really need to add a couple of images to every blog that you write? The short answer is: yes, you definitely need images. But it’s not as simple as just grabbing an image and using it. Trust me! You do not want to land yourself into a potential copyright legal battle. Here’s a look at why images (and the right images) are so important. Blog posts without images are boring. There’s this wall of text that may be formatted well but just has nothing to brighten it up. A featured image will draw people in. A Pinterest friendly image is excellent for social media. Images within your content help to break up the text and add more personality. People are more likely to read and stay with your page if they see an image. They find the content more interesting from the very beginning. Image also help with social media. Try adding a link on Twitter without an image. Are you really going to stop and check it out? I wouldn’t! I find it very hard to see links on Twitter when there are no images. When you add an image, you make people stop scrolling. There’s something to catch their eye and they are more likely to read the text you’ve added. They’re more likely to check out your content. When I write about a TV show, I will try to use an image from that TV show. It could be a promotional poster or photo or it may be an image from Comic Con. Either way, the image tells people what to expect just at a glance: it’s going to be about that particular show. Your images will tell people what to expect from content. This is why you need to use the right image. It needs to be relevant to your content. Don’t add photos of food to your blog when you’re talking about keyword research! Don’t add photos of the globe when you’re talking about horses. Add images that relate to the content in some way. Giving people expectations will help them decide whether to click or not. An enticing photo will make them feel the need to learn more. 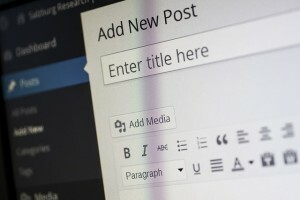 Blog posts with images are easier to brand. You can add your website, your logo, and your color scheme to them. Branding is essential, even if you’re just setting up a blog for fun. People will see your brand and instantly know that it’s your content. When other people share your content, the audience knows who it’s actually from. Branding helps them recognize you the next time they see an image or post from you. Think about how branding works. When you see the big yellow M, you know it’s McDonalds. When you see the tick, you can take a guess that it’s Nike. Branding is everywhere and plays with our subconscious. You want to get into the subconscious of your audience and blog posts with images is the way to go. When you add an image, you have the chance to show in another layer of Google search results. You appear in the Google Image searches instead. Yes, people will look at images for certain topics. This is extremely popular if you want to become a photographer or your blog is to show off your artwork. Not as many people focus on Google Image search results, so you have a better chance of ranking highly. If you added images for no other reason, at least do it for this. Some social media is available without the use of images. You can add to Facebook and Twitter as much as you want. The content won’t be as good, but it’s better than nothing, right? Well, there are some social media platforms that you’ll miss out on without images in your blog posts. Pinterest and Instagram are the main two and are extremely powerful. You’ll need specific images for them, but they’re worth creating for the audience that you get. But Watch Out for the Legal Issues! This is a whole post, but I want to touch on it right now. Don’t just go to Google Images and find something. Most of the images there are copyrighted. If you use them, you end up running the risk of an expensive legal battle. Ignorance is not a defense. Make sure any image you use is legal. The best way is to take your own, but there are stock image sites out there. I’ll go into this in more detail soon, as it is an extremely important topic. 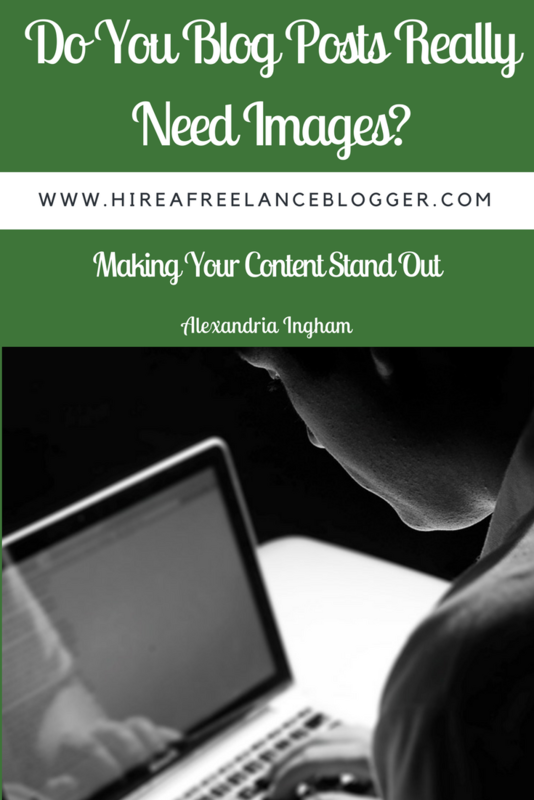 Are you ready to add images to your blog posts? Want to hire a blogger who handles images? Get in touch to find out how I can help your blog posts come to life. Does Your Freelance Blogger for Hire Have Enough Experience?